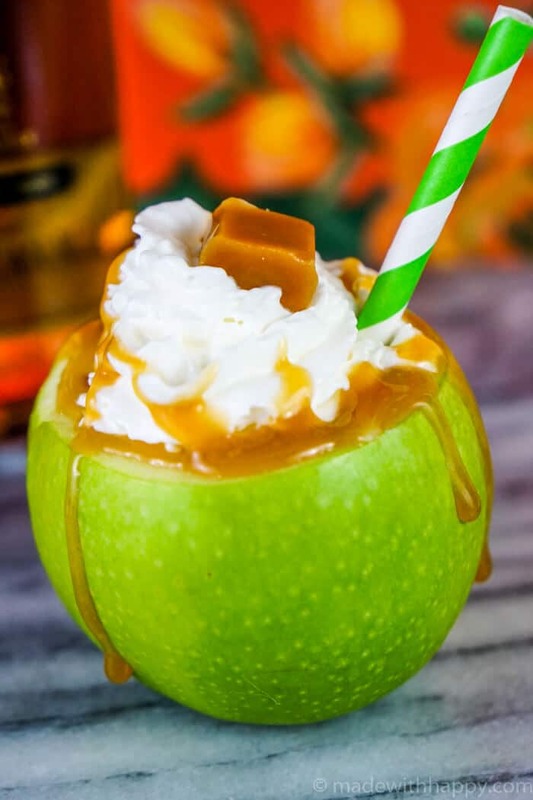 This fun and festive Caramel Apple Cocktail is a fabulous Fall alcoholic drink. Temperatures in Southern California have finally cooled down making it finally feel like the Fall season. 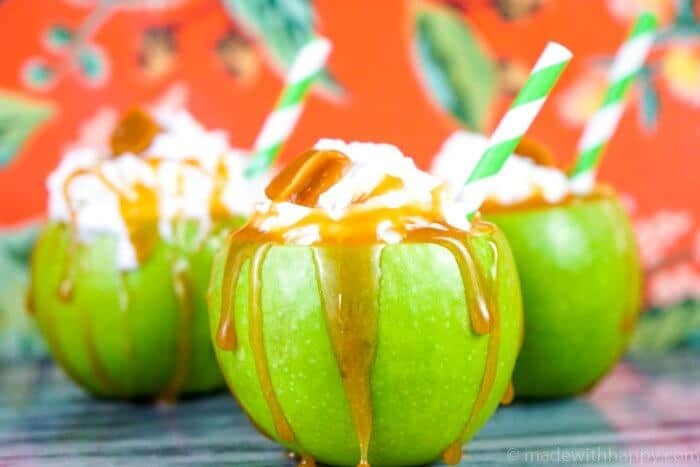 This Caramel Apple Cocktail is perfect for the crisp air as it warms up the insides. Its made with the most delicious Puerto Rican rum, Don Q Gran Añejo. Those that know Puerto Rico and have visited Puerto Rico, know they are known throughout the world for the most incredible rums. Don Q has been producing some of the most exquisite rums since 1865 by Destilería Serrallés, the birthplace of Puerto Rican rum. With the abundance of apples this time of year, we’re all about infusing the flavors and incorporating all things with them. The same goes for Don Q Gran Añejo rum. For those that do not know, this premium rum can be combined with a number of different flavors and mixes. Gran Añejo is a blend of rums aged in American white oak barrels and Spanish sherry casks using the Solera aging system. This gives it hints of caramel and vanilla making it easy to mix with sodas, juices or in our case other flavored alcohols. Start by cutting the top off of the apple. 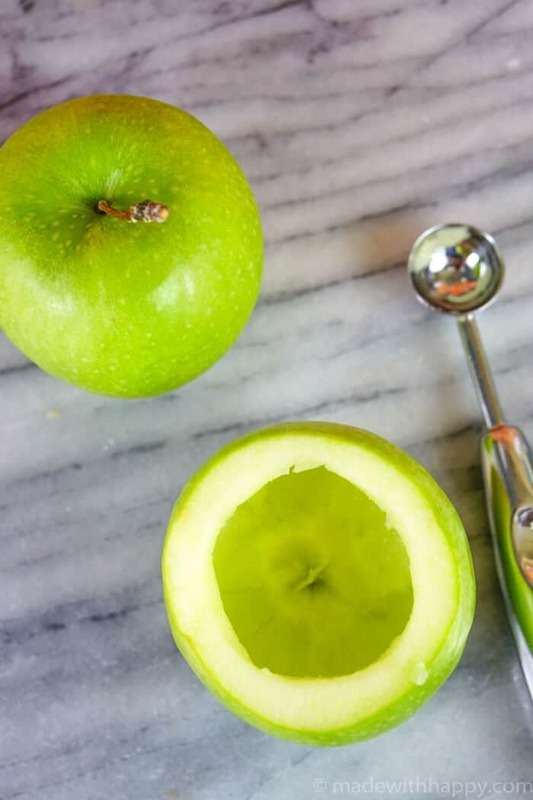 Using a melon baller, scoop the inside of the apple out making sure to keep the bottom of the apple intact. Add your rum, brandy, liqueur and cider, and stir. 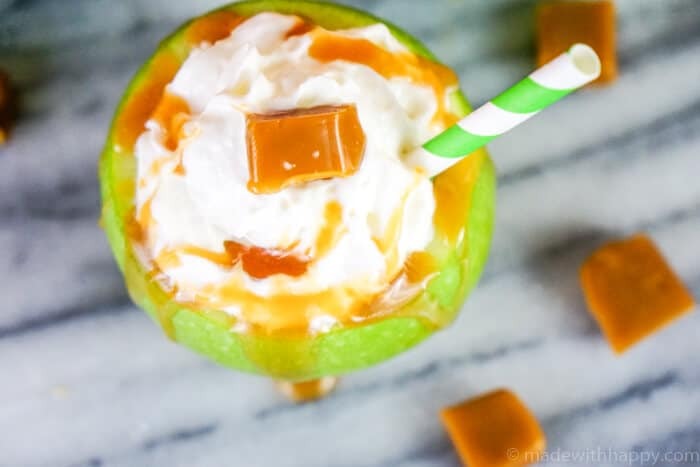 Add your whipped cream to the top, then drizzle the caramel over the top along with a sweet little caramel candy. 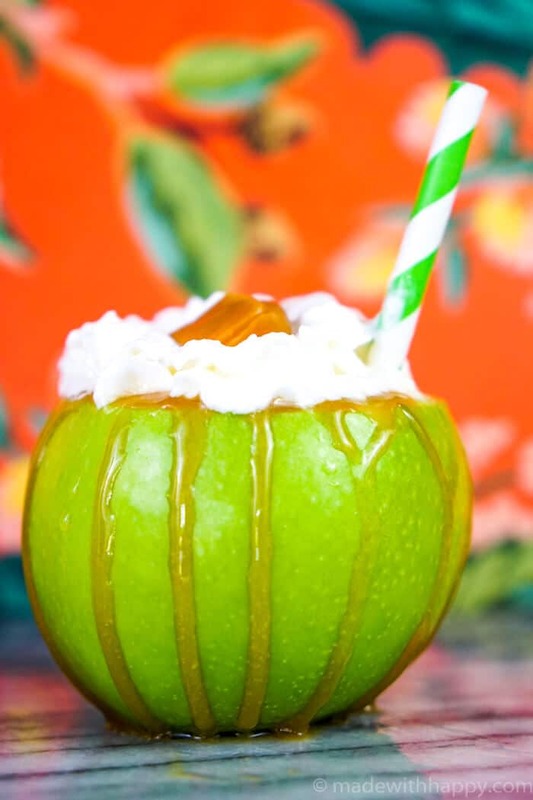 You and your guest will love to enjoy these as an after dinner cocktail or to sip throughout the gathering. 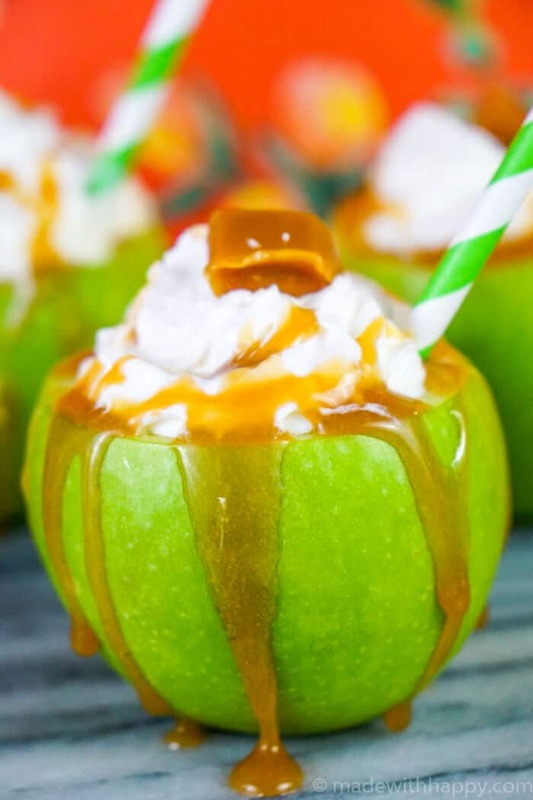 Pin this Caramel Apple Cocktail for Later!